In Alabama, all but five of the state’s 67 counties are on the federal list of medically underserved areas, according to the U.S. Department of Health and Human Sciences. Thirty-eight of those counties lack hospitals with labor and delivery service, and eight Alabama counties do not have hospitals at all. As a land-grant institution dedicated to increasing the quality of life for Alabama citizens, Auburn University is committed to helping place primary care physicians in the areas that need them most. The Rural Medicine Program is a partnership with the University of Alabama School of Medicine, or UASOM, with the goal of addressing and combatting the pressing need for more primary care physicians in rural areas of the state. Students in the program must be Alabama residents who have lived a minimum of eight years in a rural area of the state and are committed to returning to rural Alabama to begin their primary care practice after completing their training. Students in the Rural Medicine Program spend one pre-matriculation year at Auburn in a series of classes and hands-on clinical training prior to beginning medical school at the UASOM. During the year, they are mentored by primary care physicians in rural practices and complete pertinent coursework. Dr. Ashley Smith Lane began the Rural Medicine Program after graduating from Auburn’s College of Sciences and Mathematics in 2009. She is now a third-generation physician practicing in rural Alabama alongside her father and grandfather at the Lineville Medical Clinic. After completing their first year at Auburn, students in the program move on to the UASOM for their first two years of medical school before spending their last two years at the Huntsville Regional Medical Campus. 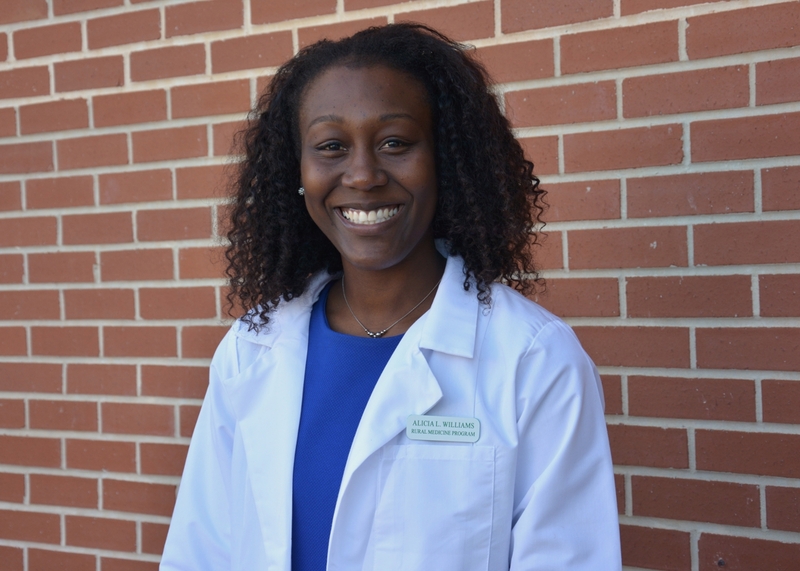 Alicia Williams, a Ft. Payne native, began the Rural Medicine Program in 2016 after receiving a bachelor’s degree in biology from Mercer University. For Williams, returning to a small town means making an impact on the community she calls home. Williams says she would recommend the program to anyone interested in healthcare with a passion for serving small towns. 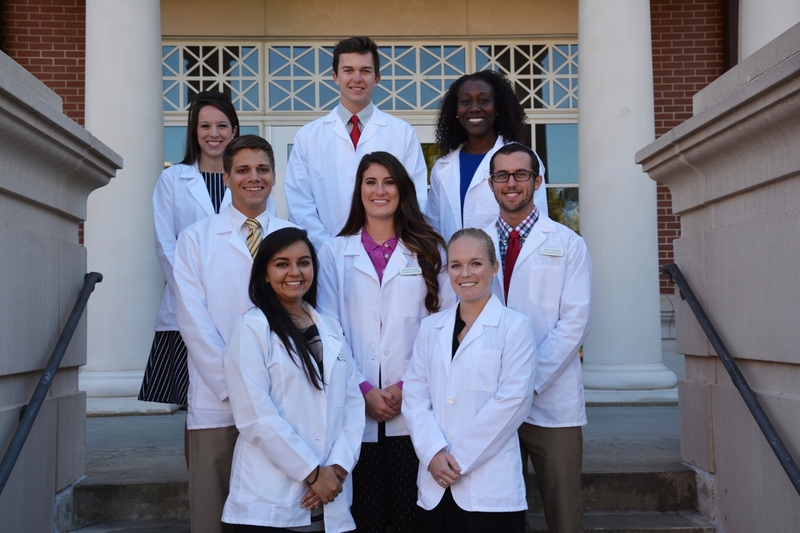 For more information on the Rural Medicine Program, contact Lawrence Wit at witlawr@auburn.edu or 334-844-7898. Rural Medicine Program students in their white coats after completing a pre-matriculation year at Auburn University prior to beginning medical school. Alicia Williams, from Ft. Payne, completed the first year of Auburn’s Rural Medicine Program in 2017. 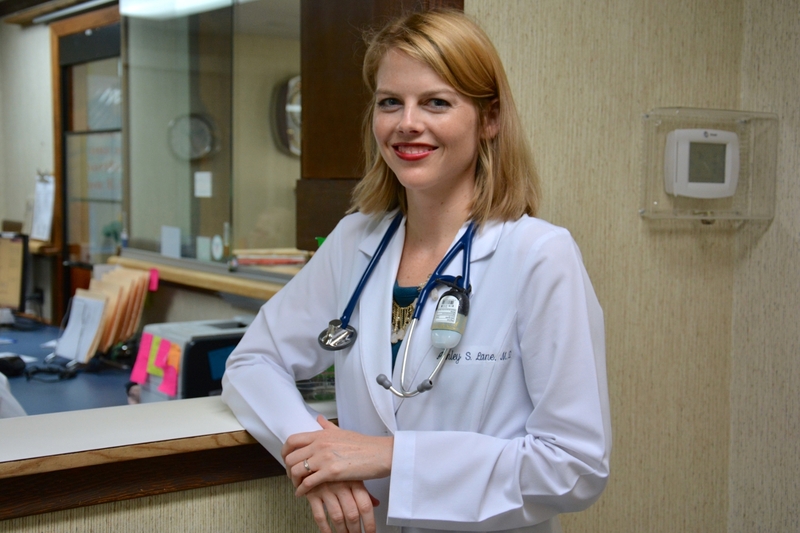 Dr. Ashley Lane, biomedical sciences ’09, completed Auburn University’s Rural Medicine Program, and is now a third generation physician at the Lineville Medical Clinic in Lineville.